How's it going? I'm doing alright. I woke up with a slight headache so I'm actually hoping that it doesn't get any worse. Do you have any plans for the weekend? I totally almost forgot that Sunday is Mother's Day! Lol. 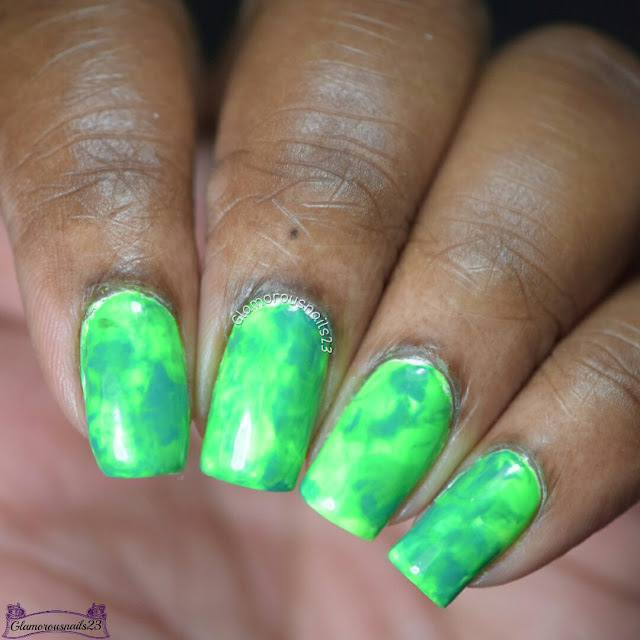 Well, today I'll be sharing the first mani that I did for this month's Nail Challenge Collaborative - Green prompt! See more after the jump! Since I've learned about the smoosh technique it has definitely become one of my favourite nail art techniques to do! 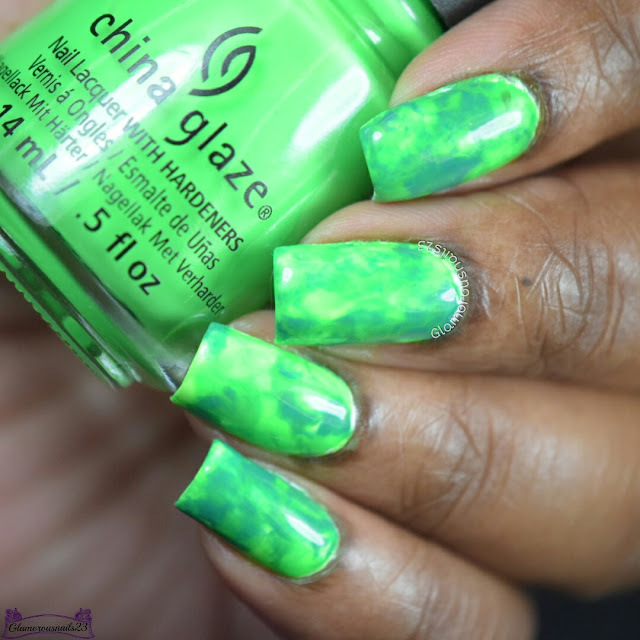 So when I saw that the theme for this month was going to be green I was kind of stumped as to what it was that I had wanted to do. So then I quickly decided that I was going to do a smoosh mani and I just love how it turned out! What a fun look! My smoosh manis are always just kind of so-so. Really pretty! I haven't done a successful smooth mani yet...I'll keep trying. This color combo is perfect! I love how this turned out. I attempted a smoosh mani the other day and it turned out terrible! haha Will have to try it again. 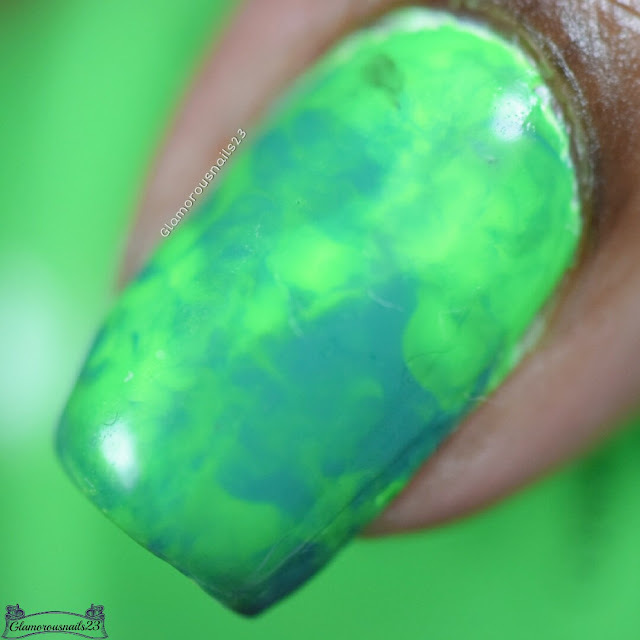 I hope you got spoilt on mothers day :) I love this nail art, it is so fun and bright! I did thanks :). Thank you! Thanks Becky! Haha! Don't give up! Thanks Michelle! 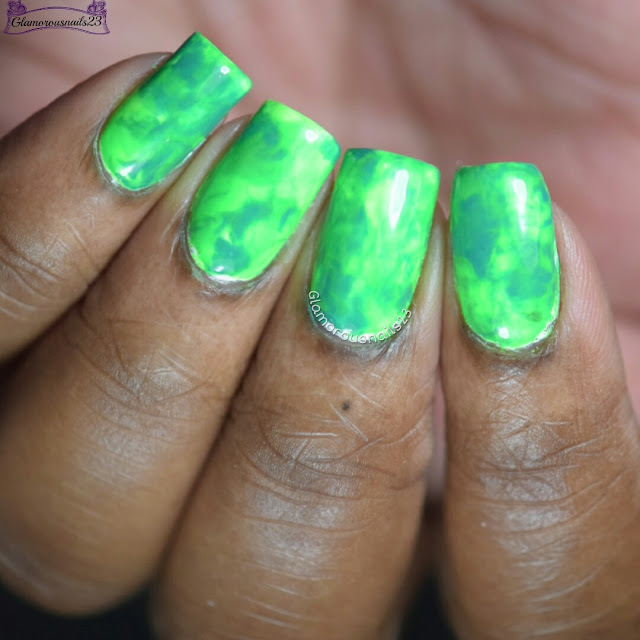 There's so much you can do with a smoosh mani! Thank you! Yes keep trying!